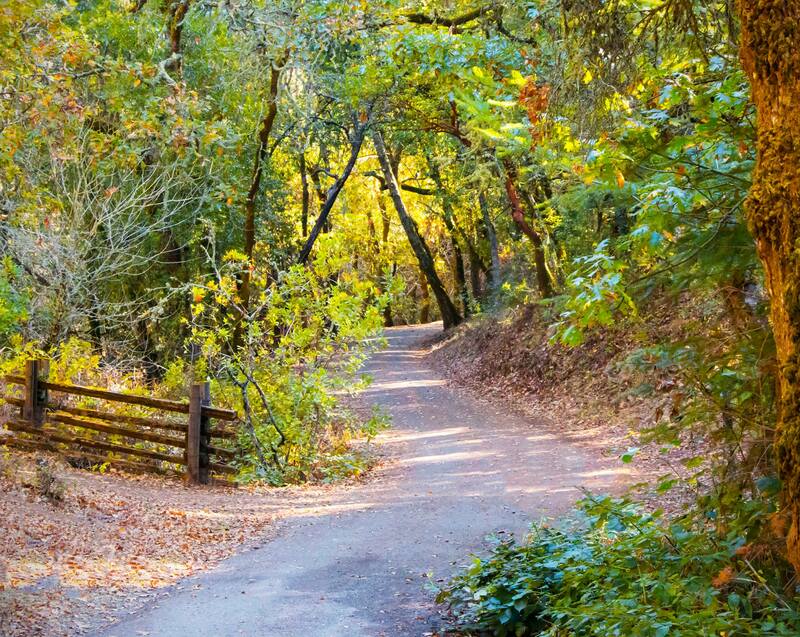 Jack London State Historic Park is a 1400 acres (567ha) wildlife sanctuary. Like all California State Parks, it is a protected area, and it can be explored by using its over 29 miles of trails. Flourishing there is a beautiful mixed forest of oaks, madrones, California buckeye, Douglas fir, and Coastal Redwoods. Ferns, manzanita, and a wide range of other shrubs and small flowering plants such as the Indian warrior, hound’s tongue, buttercups, and poppies thrive in this area along with many kinds of birds and other forms of wildlife. The Park is also home to the following endangered species California Tiger Salamander (Ambystoma californiense), Myrtle’s Silverspot Butterfly (Speyeria zerene myrtleae), California Freshwater Shrimp (Syncaris pacifica) as well as more common but still threatened creatures including the Gray Fox, Black Bear, Deer, Coyotes. The Park also provides critically important arboreal habitat for the Great Horned Owl, falcons and eagles, including the Peregrine Falcon, and dozens of other birds. Because the park connects with other states, local, and regional preserves and conservation areas, it provides an important corridor for the many species whose habitat is threatened by ever-increasing human occupation levels. 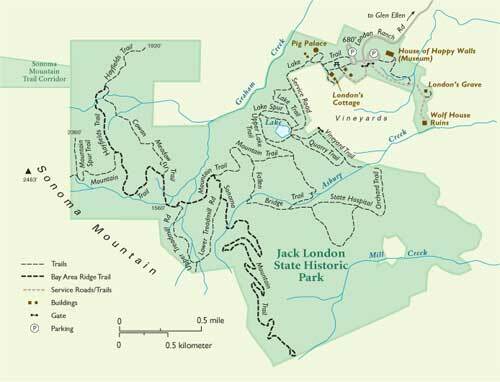 With the protected area facing closure, the Valley of the Moon Natural History Association (VMNHA) took action, privatizing the park and creating Jack London Park Partners (JLPP) to oversee its management. Relying exclusively on donations and volunteers to stay running, Jack London State Historic Park is thriving in Sonoma County, becoming a model for other parks facing closure to follow. 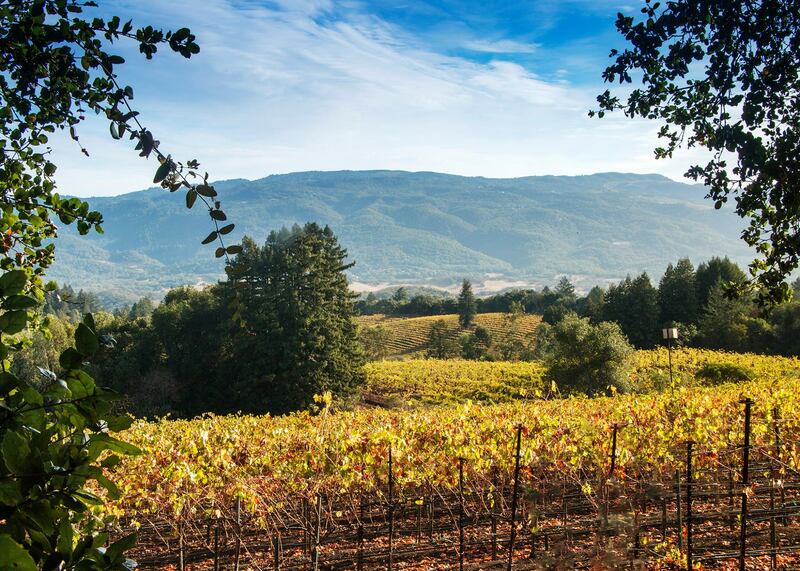 Following that strain of thought, COASTS, the Coalition to Observe and Advance Sustainable Tourism in Sonoma, looks at how tourism can be used to advance initiatives such as privatizing formerly government-funded parks. Simply put, tourism is one of the primary economic drivers in today’s world. I believe when people travel, their minds are freed from everyday concerns, and they are better able to learn from new experiences. Therefore, travel is an optimal time for the one billion+ people who are on the move each year to learn from sustainable practices at lodgings, opportunities to offset their carbon use during air and vehicular travel, experience new foods, and engage with cultures other than their own. For this and a dozen other reasons, Linking Tourism and Conservation makes great sense. 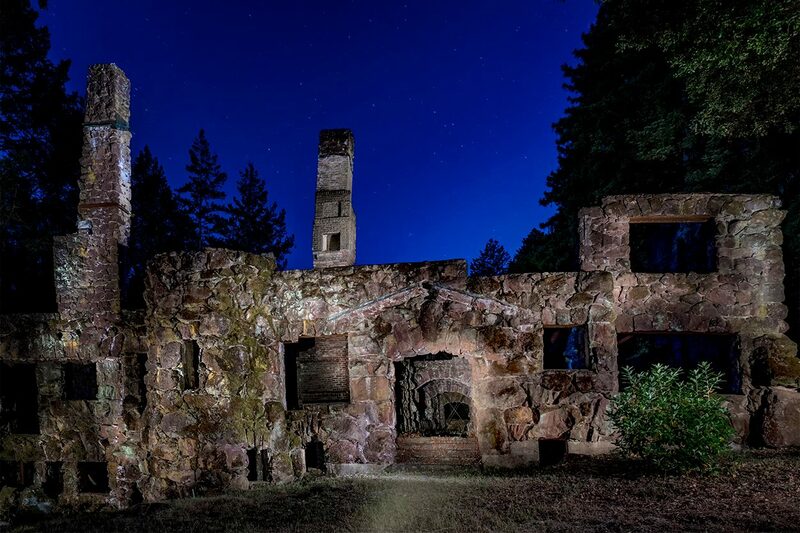 Jack London State Historic Park is a great example of taking something that the government started, the State Park system in this case and rallying the community to keep it alive. Revenue is brought in from visiting locals, tourists, and private donations – JLPP receives no funds from State Parks to subsidize the management and operation of the park. With only a team of volunteers and part-timers, Jack London State Historic Park does an excellent job of providing tours and docents, even involving young people in their seasonal projects. Working with Sonoma State University, COASTS is well positioned to collect data for the advancement of sustainable tourism. With the aim to become a UNWTO Observatory, COASTS has no intention of slowing its growth. Furthermore, I and our team at COASTS consult extensively with various businesses, destinations, and protected areas and are able to address this topic as a consulting subject as well. During the week of October 9th, Sonoma County has seen wildfires which have razed homes, roads, vineyards, and protected state parks to the ground. Jack London State Historic Park has -as of this moment- escaped damage. But Jack London Park’s two sister parks also operated by the Valley of the Moon Natural History Association, saw significant -if not complete- destruction. Both Sugarloaf Ridge and Annadel State Parks will be in recovery for years to come. We plan to closely follow, observe and report on the fire mitigation efforts which will be enacted following California’s deadliest wildfire in one of it’s most iconic historic winery and tourism areas. This LT&C-Example is authored by Pamela Lanier. For more information contact her by email Pamelalanier@yahoo.com or phone: +1-7075293893 and explore the website of COASTS.